Product #5721 | SKU FAF51401 | 0.0 (no ratings yet) Thanks for your rating! 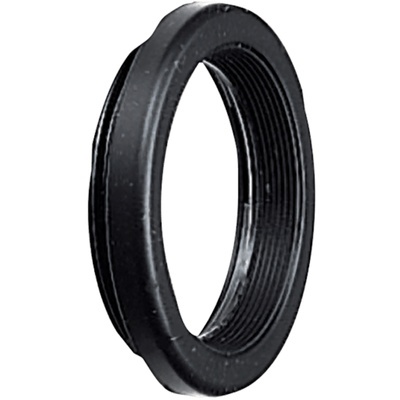 The Nikon DK-17A Anti-Fog Eyepiece is a replacement eyepiece for select Nikon SLR and DSLR cameras. This eyepiece includes a fog-resistant optical element and provides a comfortable surface for the area around your eye while framing a subject through the camera's viewfinder. It also serves to block unwanted and potentially distracting light from entering the viewfinder. Made from soft and durable rubber, the surface of the DK-17A Anti-Fog Eyepiece prevents scratching and damage to eyeglasses. It mounts easily and securely to the viewfinder and is compatible with select Nikon cameras. Box Dimensions (LxWxH) 4.0 x 2.5 x 0.2"